Why is ISIS antagonizing everybody? Why has ISIS set out deliberately to make enemies of the entire world? ISIS militants have beheaded American, British, French, and Japanese infidels; burned alive Jordanian apostates, Egyptian Coptic and Yazidi heretics; murdered Shia idolaters, and massacred Kurdish kaffirs. Along comes this rag-tag band of insurgent militants with limited resources to prosecute war, yet with unbounded appetite for war that compels them to seek to take on the entire world alone. Anyone who has watched ISIS’ penchant for glorying in what the rest of the world considers “war crimes,” exploiting proudly the facility of twenty-first century social media to publish their criminal atrocities would sense a departure indicative of a group bent on an ideologically driven suicide mission. Western analysts have stated lately that ISIS appears to be an apocalyptic or millenarian religious cult subscribing to a form of Islamic end-time doctrine and that the group appears to be deliberately trying to initiate the Muslim version of Armageddon that leads to the Muslim Day of Judgment and the end of the world. The militants are actuated by the belief that we are living in the end times and that their actions could help to hasten the fulfillment of Islamic end-time prophecies. And where does it all begin? The Syrian village of Dabiq, close to the border with Turkey, where the Prophet Mohammed predicted that the final clash between Islam and “Rome” — that is, the West — would occur. The ISIS militants fought desperately to capture the village last summer because they believe that the village is the place where believers and infidels will clash in an apocalyptic Muslim “Battle of Armageddon” preceding the Day of Judgment and the universal triumph of Islam. Western analysis say that existing evidence suggests that ISIS atrocities are part of efforts to lure Western ground forces into Syria to fulfill the Prophet Mohammed’s alleged prophecy about the “Great Battle” of Dabiq that will usher in the Muslim Day of Judgment. 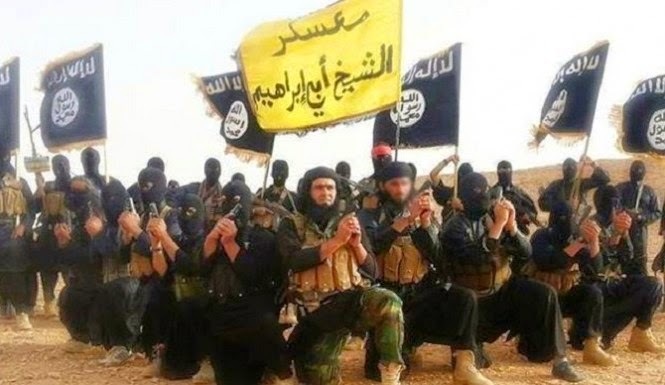 ISIS militants believe they are privileged participants in an Islamic version of a struggle between the forces of good and evil; and of course, not only is ISIS the good side in the struggle, but all atrocities committed by ISIS militants in the war receive automatic divine approval.